Up next in our series of #D100bloggerPD posts is Hacks 36-50 from the book Hacking Engagement: 50 Tips & Tools to Engage Teachers and Learners Daily. 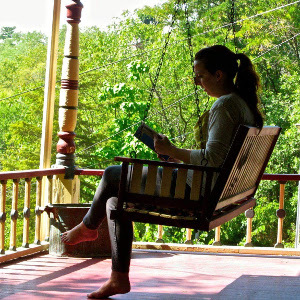 Although the title may be a mouth-full, this book is easily digestible, with short hacks that cover everything from assessments to yoga pants. 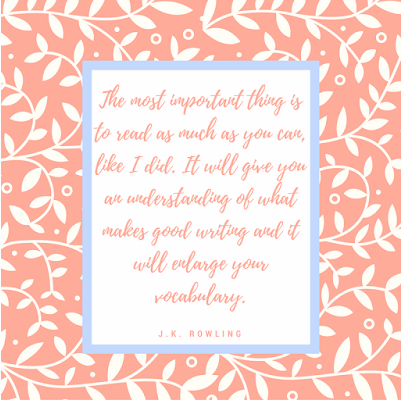 To see previous posts, start from the beginning with our fearless leader Colleen Noffsinger's first post on the book or check out the Hacks 31-35 on Jordan Garrett's blog! Also, be sure to check out the #D100chat with the author happening TONIGHT at 8PM. Student: I'm doing all the work. Me: Okay, well what have you done to try to engage your group members? Student: I asked them once and they stopped working, so I just took it over. Student: I've done those all. I just want to do the project myself. Why can't we just work alone? To be honest, I've struggled to find ways to foster productive group work in my classroom. I strongly believe that learning to work in a group is a life skill that needs to be practiced, both by students who do work and students who tend to sit back and let others work. As a teacher of science, group work is also an essential component of how science is done in the real world, and thus it's important for me to practice good group work in the classroom. However, it is difficult to have conversations with students who are doing most of the work and feel like they're being assessed unfairly. James Sturtevant offers several solutions to help us facilitate productive group work in our classrooms while including ideas for individual accountability. One of my favorite ideas is about assigning roles within a group and requiring students to each keep track of their own work. Roles reinforce the idea that group work is a team activity, and that every person has something to bring to the table (see awesome quote below). Last year I started placing students into random groups every 2 weeks. The idea is to promote working with a variety of people in the classroom and to learn how to get along with others who are different than you. The groups last 2 weeks (roughly 5 blocks) because I believe that you can get along with anyone for two weeks. Along with roles, I also require that group members ask each other before leaving the class in order to reinforce the idea that when they leave, their collective brain power is lessened for those few minutes. James also recommends a group mission statement, which fosters a sense of unity and shared purpose in the group. Our students have use down cold. They can imitate us at lunch, they notice when we experiment with a new hair style, they immediately recognize our new eyeglass frames, they evaluate our fashion choices, they sense our moods, they know if we're been working out, and they can tell when we're in need of a good night's sleep. We're under their microscope. Our students spend all day staring at us, which can be intimidating. I've gone home many times and realized that I had a mark on my face or something on my pants and thought, "Why in the world didn't they tell me?!". While at first this knowledge of "being under the microscope" was scary to me, it now empowers me to realize that I have about 150 students who I can influence to "let their freak flag fly" on a daily or weekly basis. This is the basis for James's next hack. James tells the story of a student teacher he had who immediately got along with most of the class, but seemed to lack a connection with a few students in class. He goes on to explain that once the student teacher and these students developed an inside joke over a word that the teacher overused, it immediately broke the barrier and a connection was made. As teachers, we all say certain things over and over again, and the more we embrace our quirks, the more students we are likely to empower to embrace their own, too. Being a science teacher, I always feel like I have free range to be a little out of the box - a bad hair day simply means I'm Ms. Frizzle today! However, I've lately become more and more open with sharing some of the more unique parts of my personality with my students. For example, I love watching animal documentaries and have jokingly shared that that's what I love to do on Friday nights (it's not actually a joke - I really do spend my Fridays watching cameras shaped like poop spy on elephants), only to find out that many of my students do the same thing! Now, instead of being embarrassed, I've made a connection with a student and empowered them to embrace their awesome quirks. It is no secret that I hate grading, and teaching 150 students for the past two years has done nothing to improve my love of correcting answers. However, I know that I need to find ways for students to show their thinking and receive feedback to make adjustments to their learning (#EngineeringCycle). In this Hack, James recommends looking at our assessments and analyzing them for their real-world connectivity. He asks teachers to think about the relevance of a timed multiple choice assessment to real-world careers. Finally, he suggests having students decide how they'd like to share their knowledge with him, rather than completing an assigned project or video. In the past, I used to give multiple choice tests with one correct answer. I have come a long from that sort of thinking, and now prefer performance assessments to traditional tests. Luckily, NGSS also encourages teachers to use performance tasks as a way to assess learning. 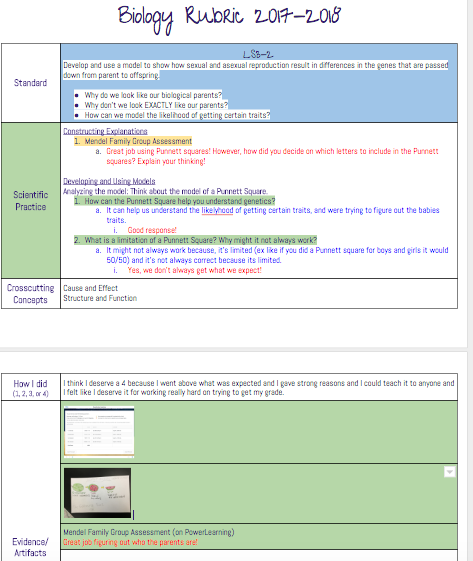 I have also gone away from a traditional grade book, and have created my own version of a single point rubric that is more like a portfolio than a list of grades (see below). 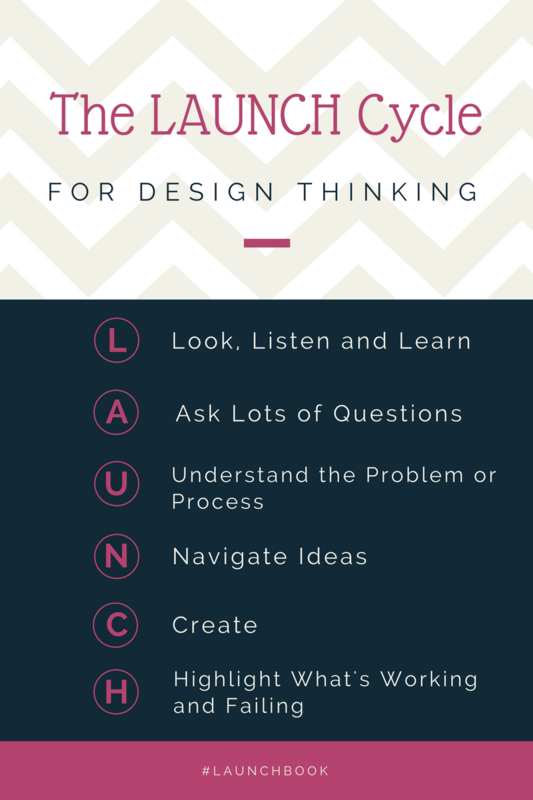 All of these hacks are great ways for moving away from the thinking that life is about getting the answer correct, and towards the idea that there are multiple solutions to problems, and that everyone can learn from looking at a problem multiple ways (#GrowthMindset). In this hack James talks about the importance of not overusing direct instruction and PowerPoint slides. 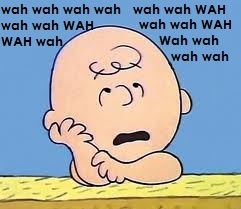 He alludes to the famous teacher on the Charlie Brown series who drones on, whether or not her students are listening. While we've all had those moments, James gives us a great tool to help spice up our presentations. James explains how he uses the tips from the book Presentation Zen to help him add intrigue to his PowerPoint. His list of Dos and Don't are a bit surprising, including such tidbits as no longer including bullet points. Instead, he recommends adding an intriguing picture to anchor the discussion, and with all of the evidence supporting the idea that people in general are awful multitaskers, I'm inclined to believe that in this case a picture would speak a thousand words. With this method, students no longer have to keep track of notes or filling in the blanks, and can instead focus on thinking about and adding to the classroom discussion. In this hack, James explains how his son David experienced school. Although David was bright, he ended up being a college dropout because he was so disengaged in the classroom, especially during direct instruction. After bouncing around at odd jobs for a few years, David re-enrolled in Hocking College - a school that promotes hands on learning and vocational experience. David went from a college drop out to finding his niche in forestry at the school. The biggest take away I got from this chapter is the importance of hands on learning. As I'm getting better at using NGSS in my classroom, I suspect that the amount of hands on learning my students experience will increase every year. James suggests a ratio of three-to-one for hands on learning to direct instruction. Although it seems daunting, being engaged in learning means that students need to be DOING what they're learning. Next up with Hacks 41-45 is The Bazz Blog. 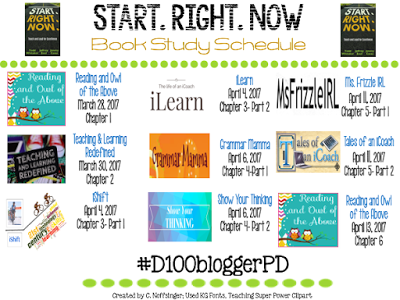 Also stay tuned until the end of the blog series when Kristin Richey wraps up the book on #D100bloggerPD's 2 year anniversary! This is the third book study that I've participated in, and every time it is always a wonderful experience to collaborate with others while reading the same book. This time, we are reading the book Start. Right. Now. 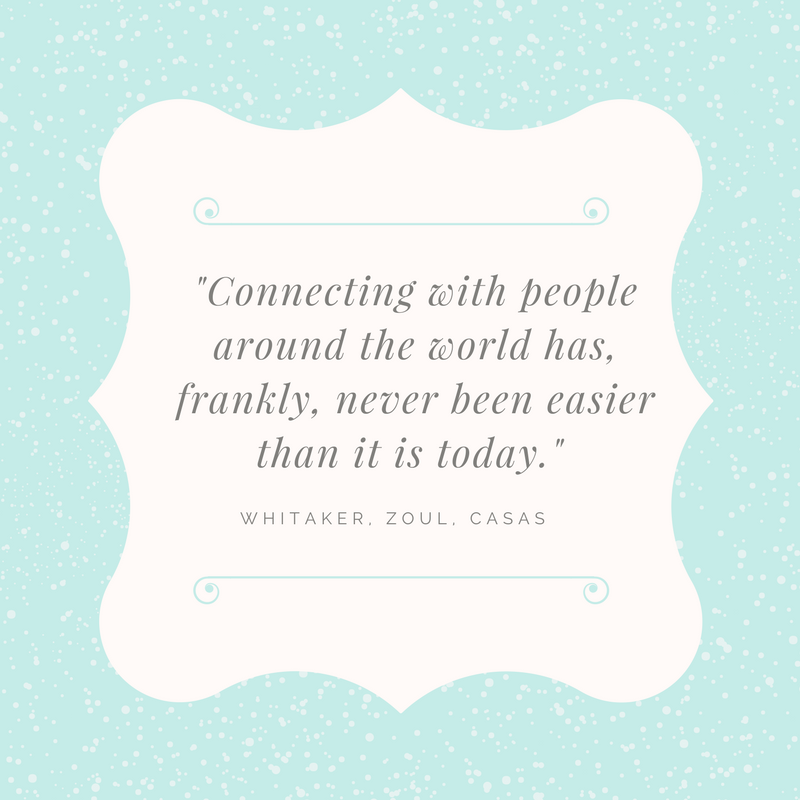 by Todd Whitaker, Jeffrey Zoul, and Jimmy Casas. I had the opportunity to hear Jimmy Casas speak at an institute day in my district, and he is also speaking at iEngage Berwyn on April 29th. This post is the 7th post for the book study and will go over the first part of Chapter 5: Grow Each Day. 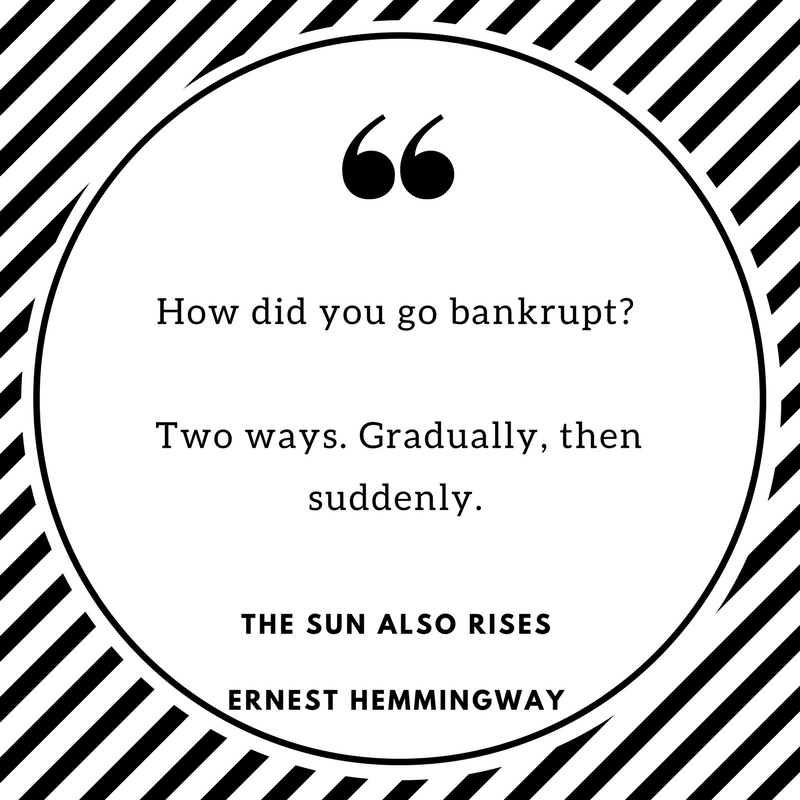 Please see Annie Forest's Post on the second half of Chapter 4 and Mona Towner's post on the second part of Chapter 5 as you follow along with our book study! Exhibiting a passion for lifelong learning and growth evidenced by individuals, teams, schools, and districts that continually strive to get better by embracing a wide variety of professional learning opportunities and encouraging those within the community to promote and embody this idea. Focus on the question, ‘What do I/we need to do, and when do I/we need to do it to ensure that I/we get better and the district, school, department, or classroom gets better?” and acts intentionally to achieve these goals. By focusing on this question, teachers can narrow down the things that are important to them while ensuring that what they are choosing to do is the best choice for their students, themselves, and their school. As educators, there are always a million ways that we can improve our teaching, so it's important to look at statements like these as a way to focus in on what is most important to us and our students. The authors argue that in great schools, excellent teachers are not afraid of critique and always know where they stand in terms of their strengths and weaknesses. Excellent teachers are not upset by critical feedback, but find it necessary in growing their practice. Because they have a clear vision of how they can improve, these teachers are able to find supports to help them become better. Excellent teachers also work to surround themselves with people who will encourage them along the way. My own environment of encouragement is easily found in my district by people like Annie Forest, Jenny Lehotsky, and Anna Van Asselt who are always there to cheer me and and are always focused on what is best for our students. Finally, the authors explain how important growth mindset is, not only for students but for teachers, too. As a young teacher I struggled immensely with discipline (and still do!) but am aware that I can lean on almost any teacher in my school for support and a sympathetic ear. Because I have a growth mindset, I feel that I will get better at my discipline, both as my experience increases and as I search for resource to help me. Two books that have been amazing in explaining growth mindset are Mindset: The New Psychology of Success by Carol Dweck and Mathematical Mindsets by the amazing Jo Boaler. Using this quote from the famous novel, the authors explain that many excellent teachers have developed their skills in way that may look like overnight success, but is often the result of long term, day-by-day small increases in their abilities. These increases are the result of teachers taking risks in the classroom, many of which fail. Excellent teachers take these failures in stride, and use them to learn and grow as they continue to try new things. These teachers also celebrate the small successes in their classroom, and see lauding their students and colleagues for good work just as important as giving critical feedback. For me, my move into a growth mindset came at the same time that I discovered Twitter. At our district's first iEngage technology conference in 2015, Colleen Noffsinger welcomed me into the world of Twitter and blogging, and I haven't look back since. Being on these connected networks allows for collaboration and exploration in ways previously impossible. Something as simple as checking my Twitter on the way to heat up my lunch can open my eyes to scientific articles, a novel way to plan, an inspring blog, or even a cute bulletin board idea. There is simply no easier way to learn. Not only does Twitter open up doors to all kinds of educators, there are also spaces for you to find like-minded eduacators. For example, I can seach the hashtags #engageFMS to find out what's going on at my school, #D100chat to see district-level Twitter chats, or #NGSSchat to connect with science teachers around the world. It truly is inspiring. This last section focused on something that I am continually working to improve in my classroom. Figuring out how to make sure that all of my 162 students are appropriately challenged is a daunting task, but one that is essential to creating confident, engaged, and curious students. 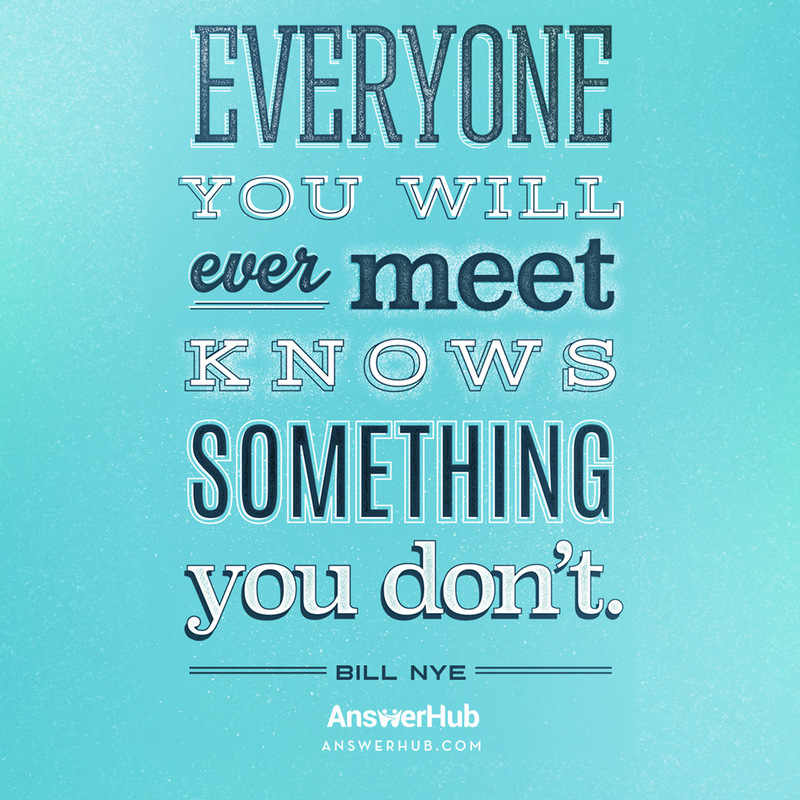 Especially in science, my students come to me with all types of background knowledge, and every day is a struggle to meet them where they are and then push them a bit further than they thought they could go. As educators, we must also find this "sweet spot" of being challenged without overwhelmed. As an introverted teacher, I must admit that each and every day is exhausting for me because being around people drains me. Because of this, I make sure to do the things I love at home, such as reading and playing with my dog in order to recharge. It is essential for me to have this time in order to be the best teacher possible for my students. However, it is easy to get into the habit of complacency or to continue doing the same thing every day simply because it's simple. The authors continually state that teaching is a lifestyle, not a job, and one of the reasons I chose this lifestyle was because it was always going to challenge me. I don't think I've ever had a boring day at this job, and while sometimes I can get overwhelmed, we must continue to push ourselves as educators, and as people. Overall, this book continued to reinforce what I know about teacher: it's hard, and it's especially hard to continually push yourself. However, if we want to do what most educators set out to do - change children's lives and make the next generation better - then we need to continually grow and challenge ourselves in our practice. Teaching is called a "noble profession" and for those who are educators, we know this to be true. It is our job to be the best we can be every day for the students, colleagues, or support staff that rely on us. Together, we can do it. I'm excited to participate again in my second book study! The book we are reading - LAUNCH by John Spencer and A.J. Juliani - is about how to create an environment that promote creativity, problem solving, and engagement. I'm really enjoying the book so far, especially the chapter I cover: The LAUNCH Cycle. Common Core standards easily and effectively into our classrooms, without driving ourselves crazy in the process. 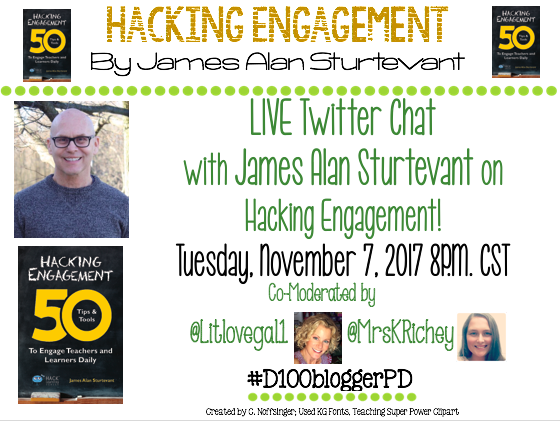 Be sure to check out the blogs by the other #D100bloggerPD members about the Introduction and Hack 1 by Kristin Richey, Hack 2 by Jenny Lehotsky, and Hack 3 by Kayla Kaczmarek for more information about this awesome book!